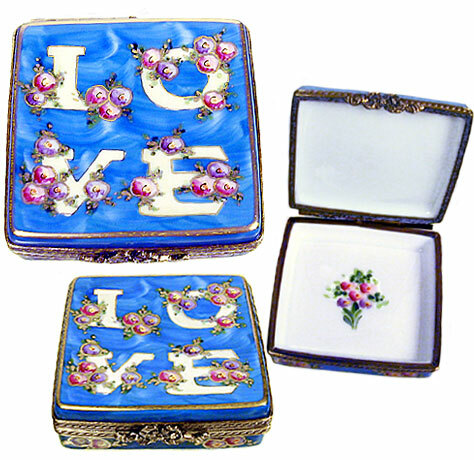 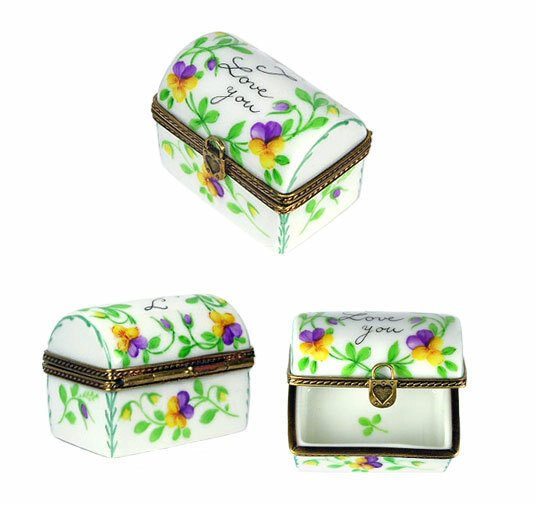 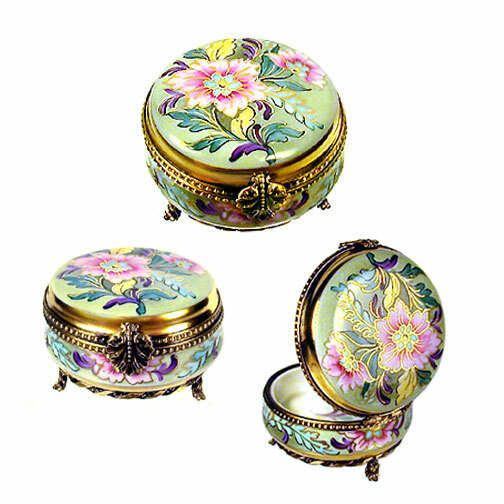 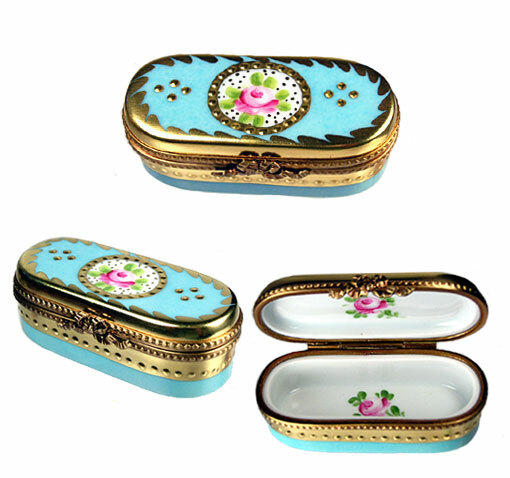 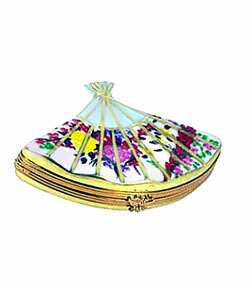 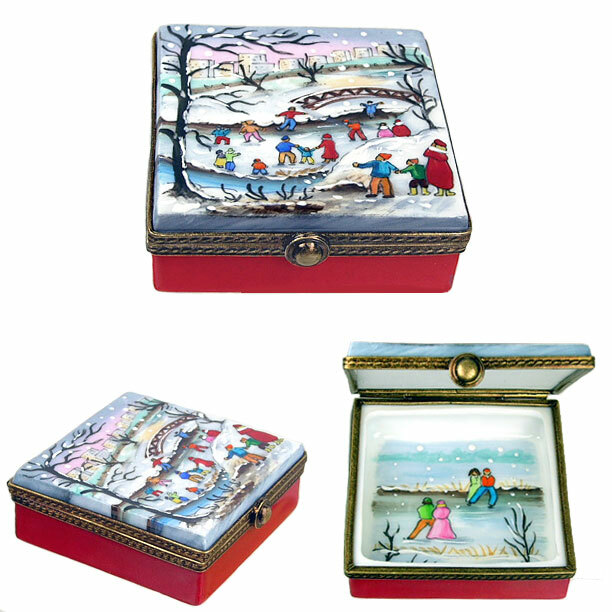 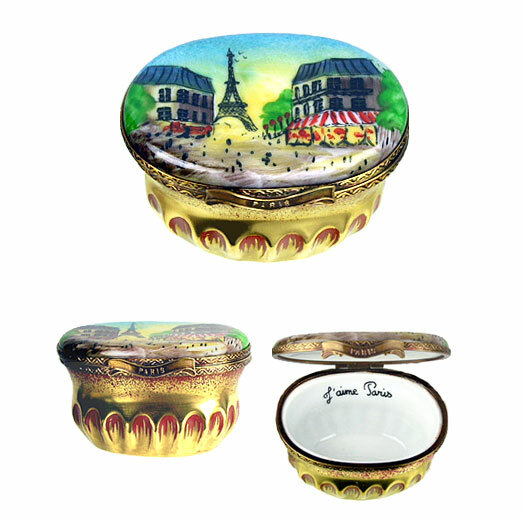 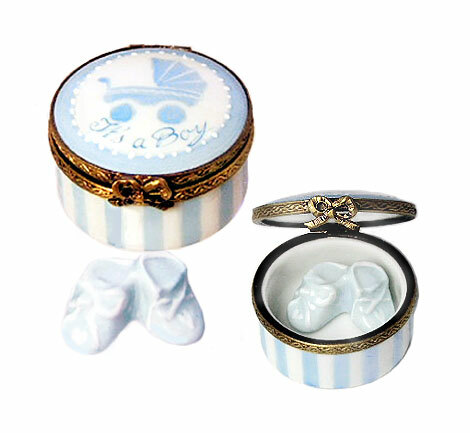 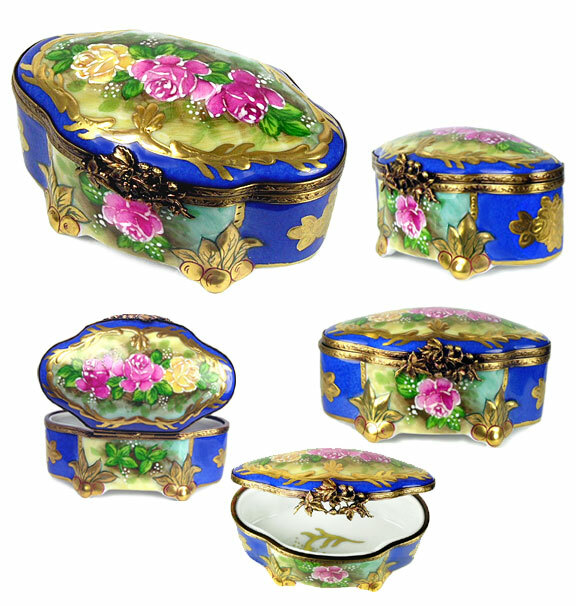 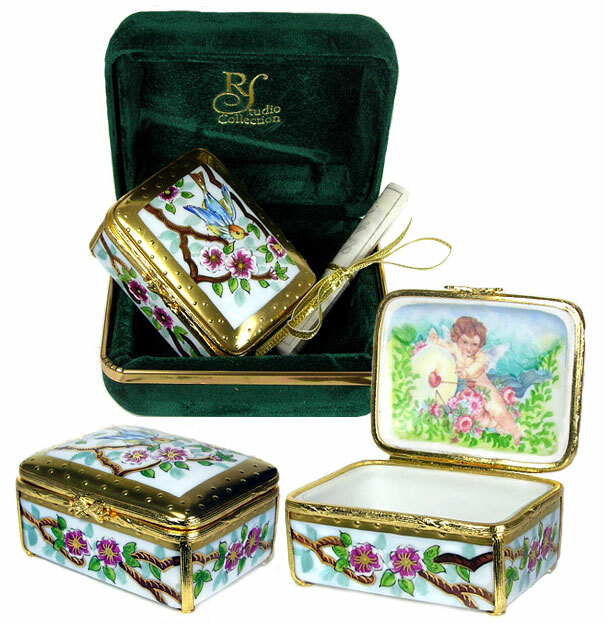 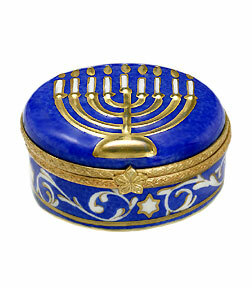 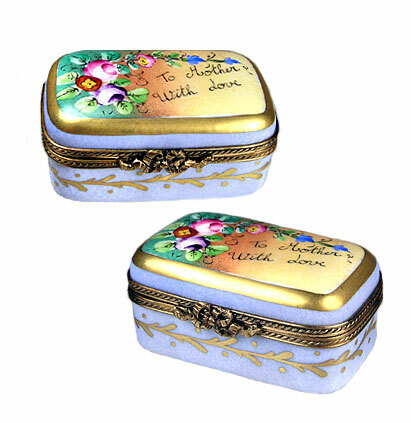 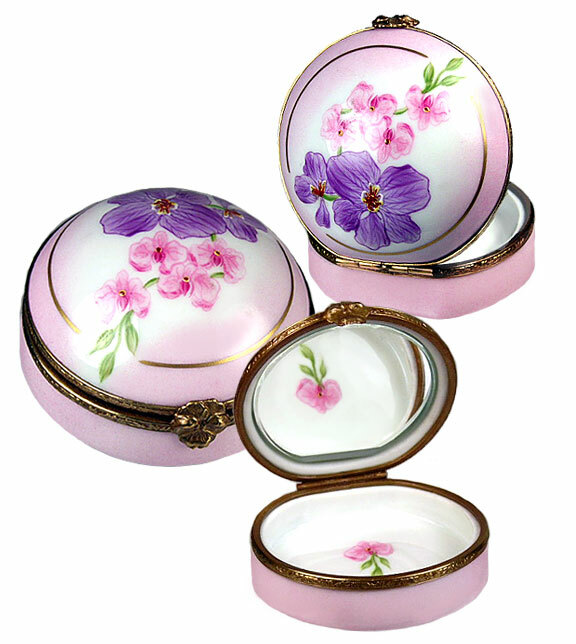 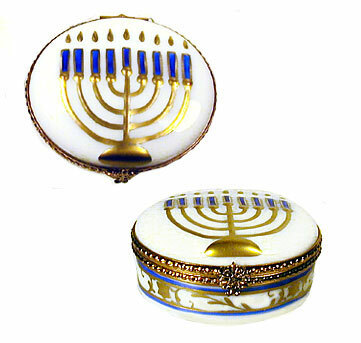 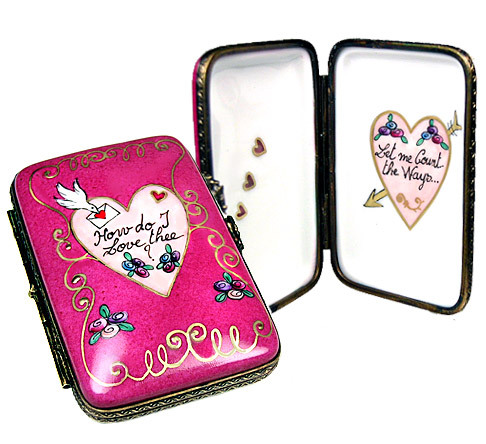 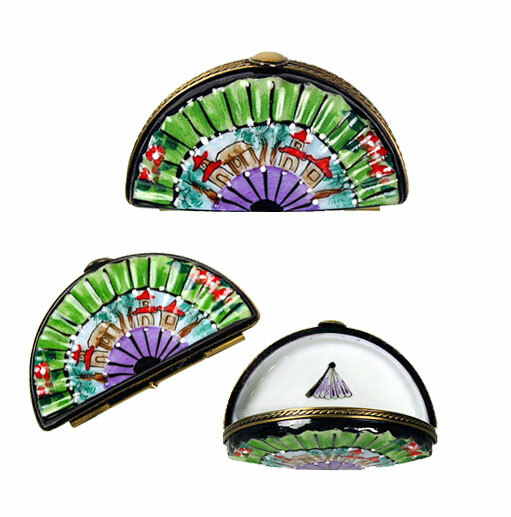 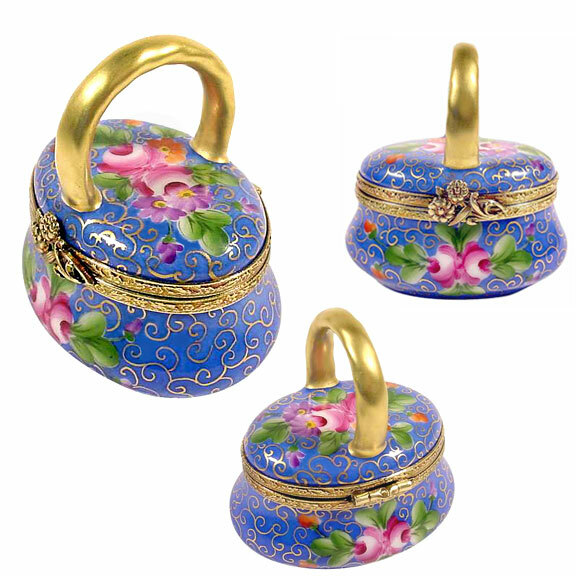 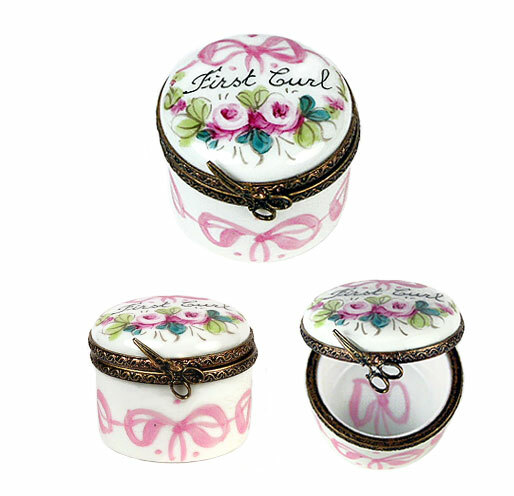 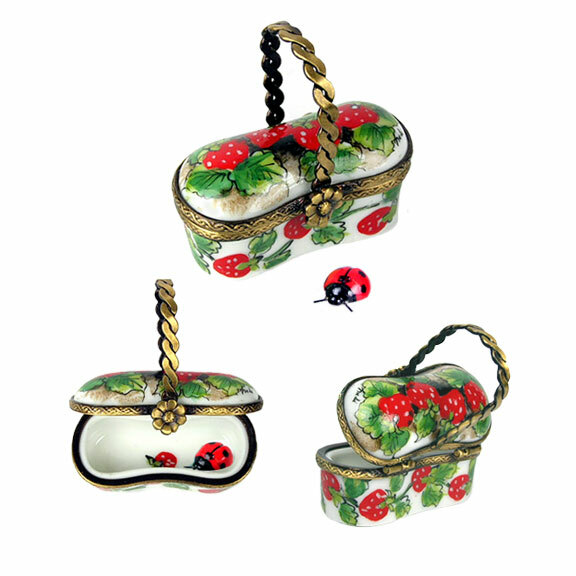 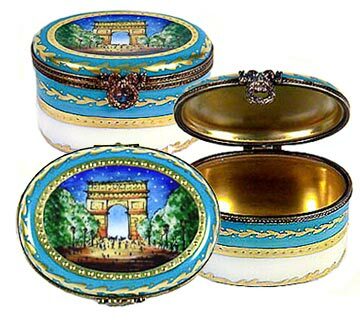 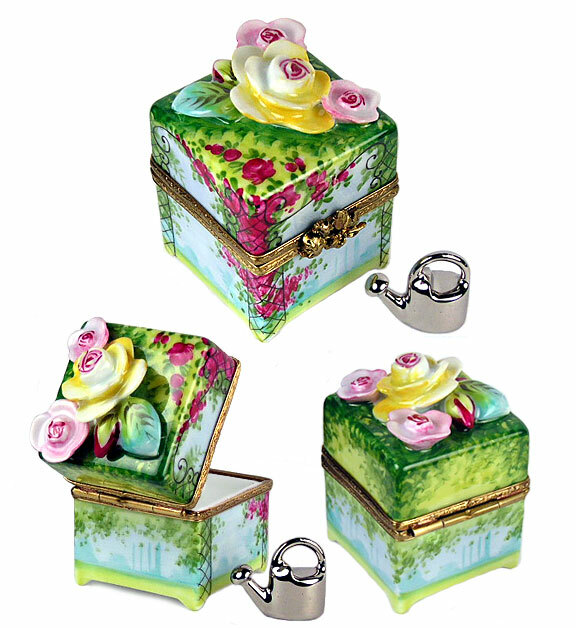 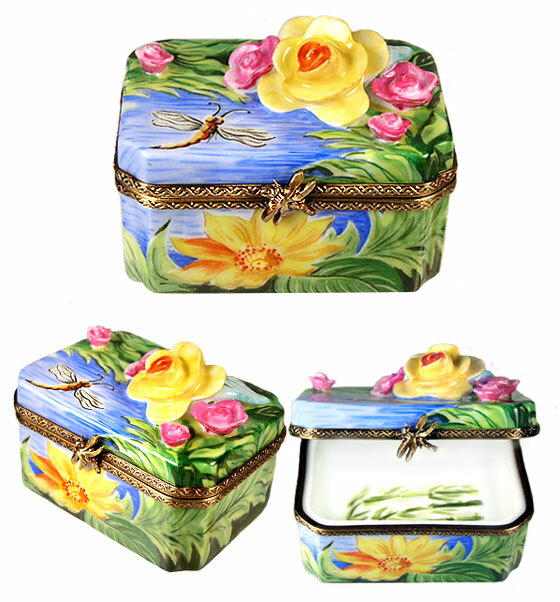 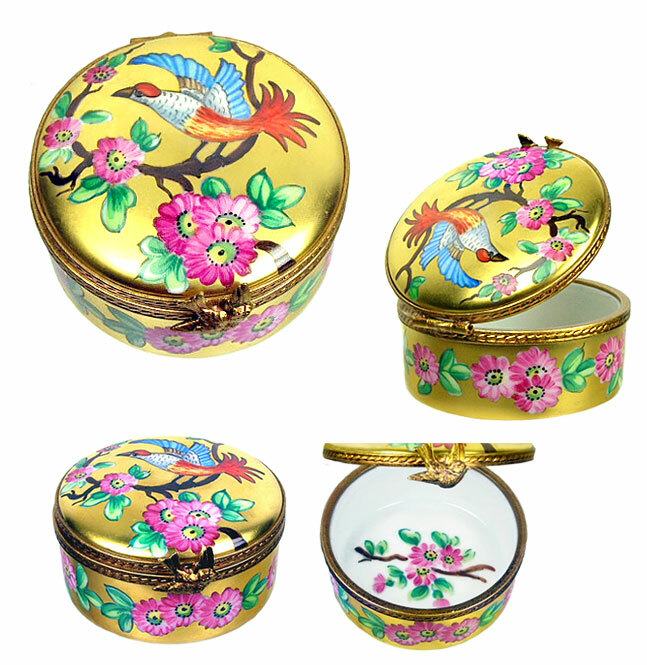 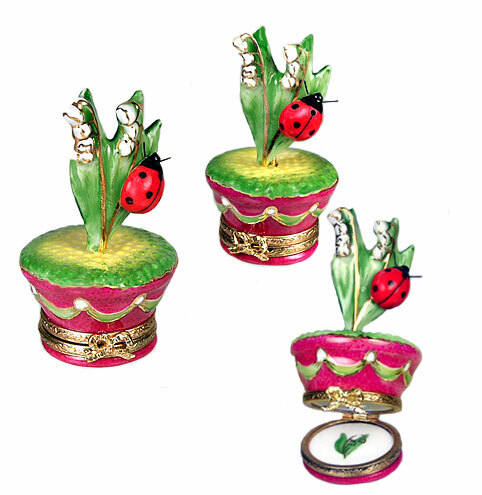 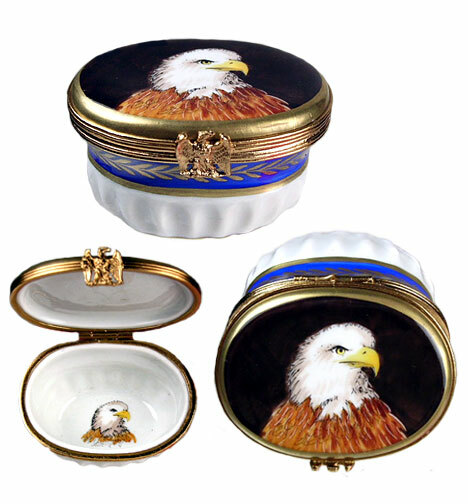 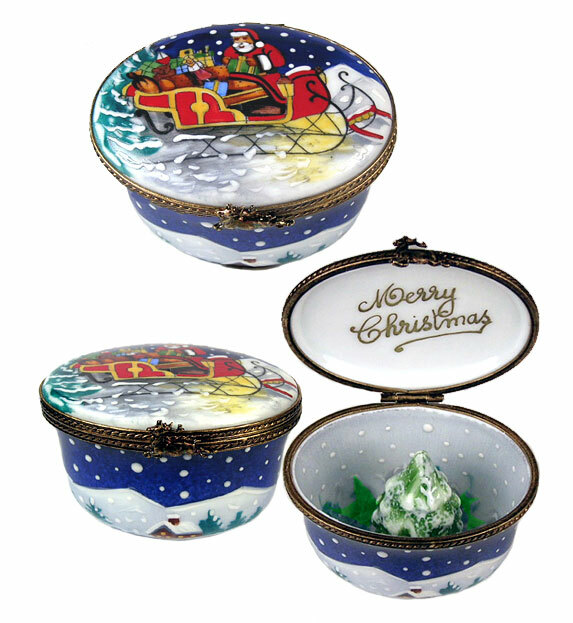 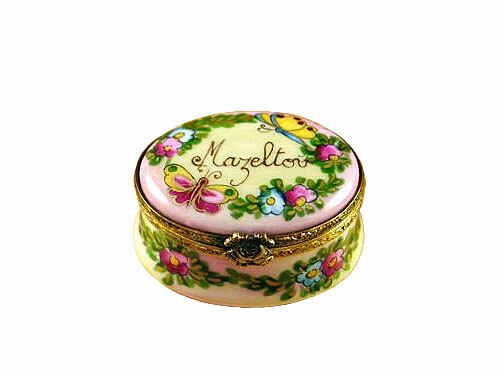 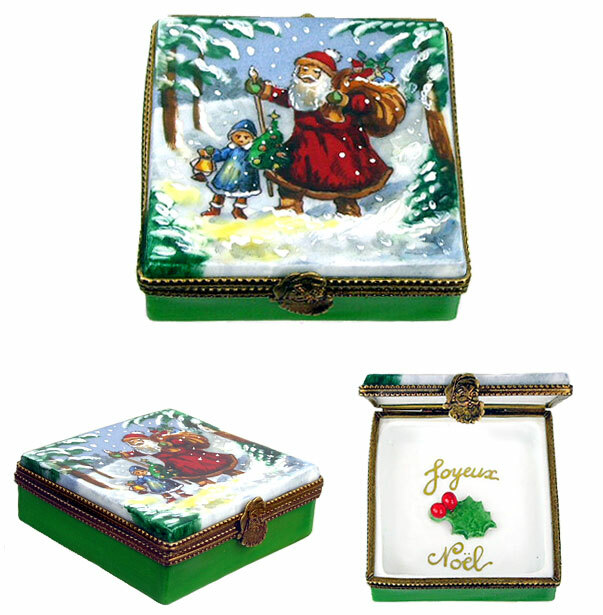 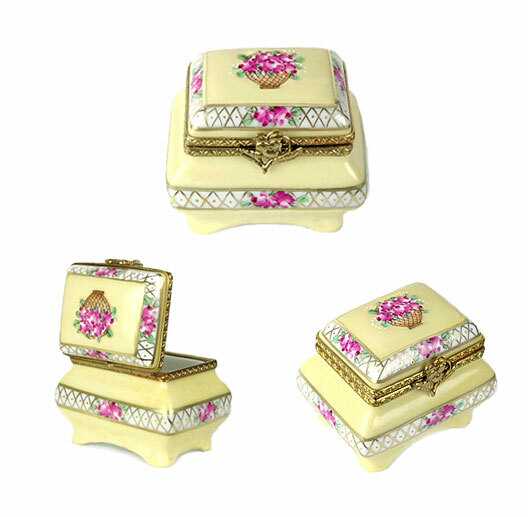 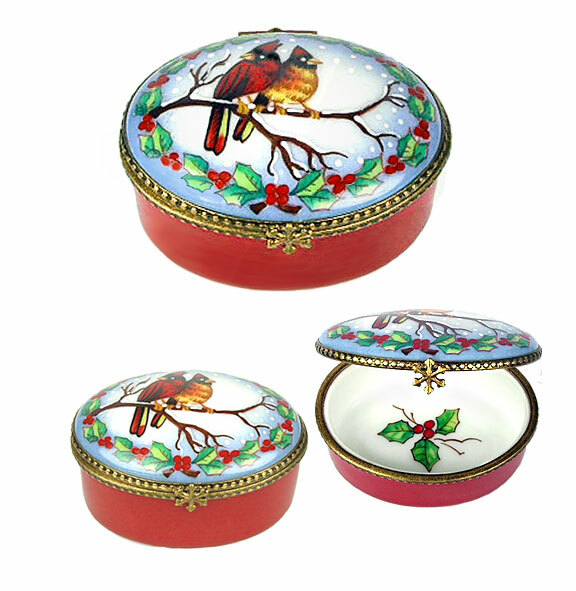 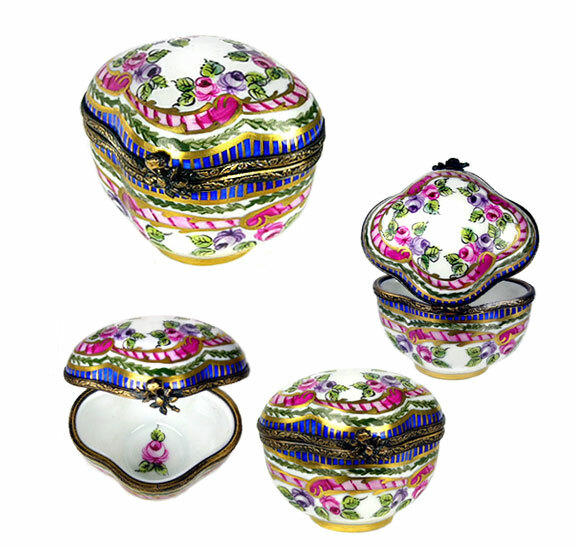 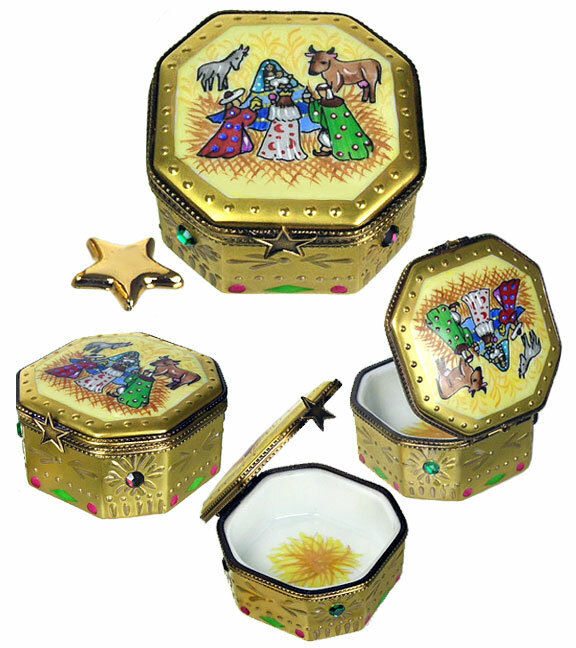 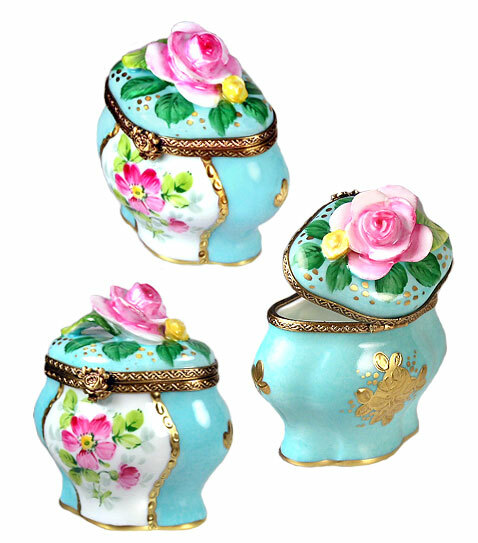 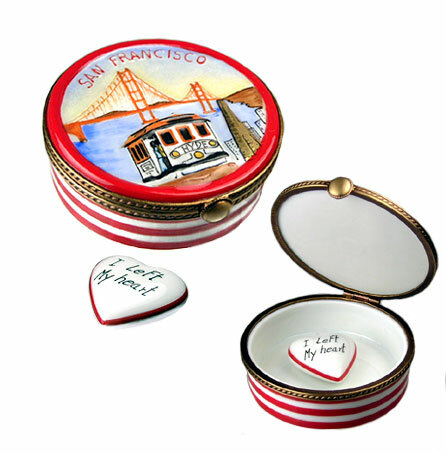 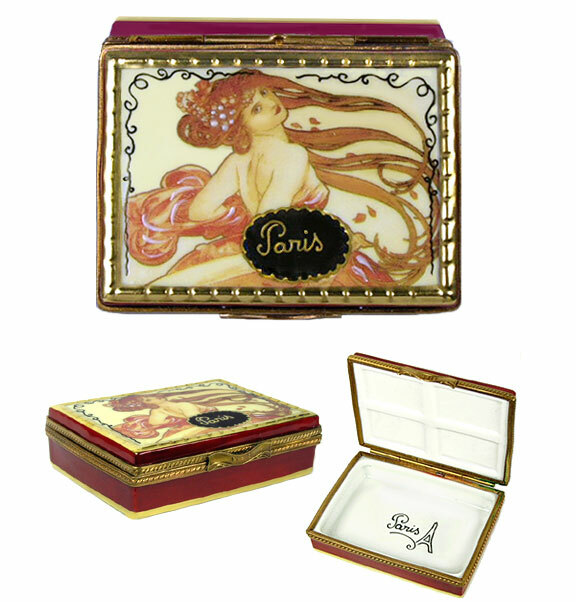 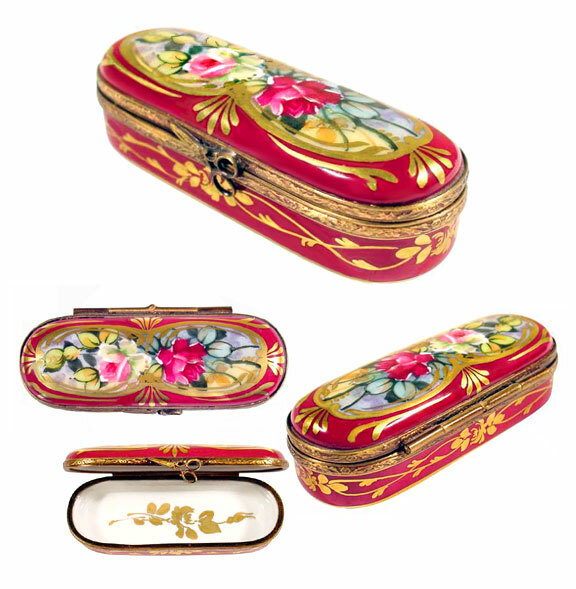 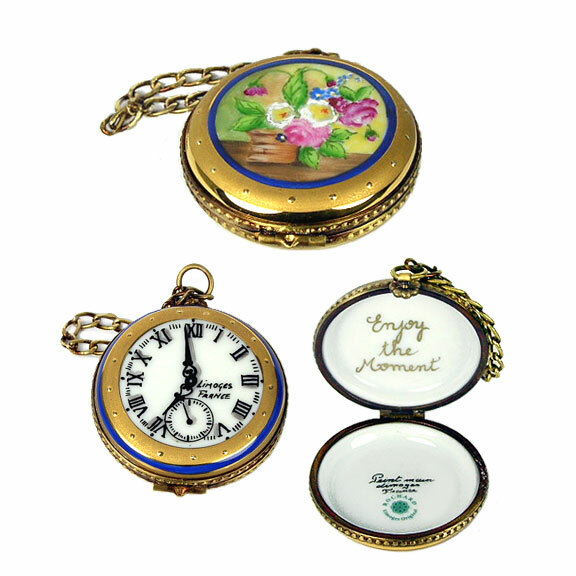 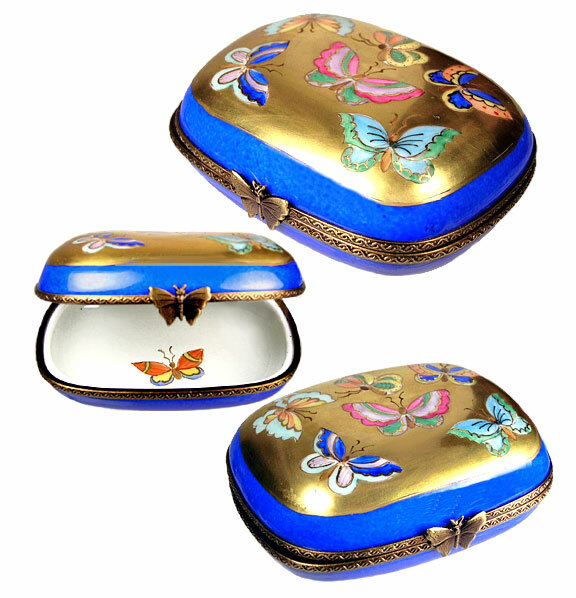 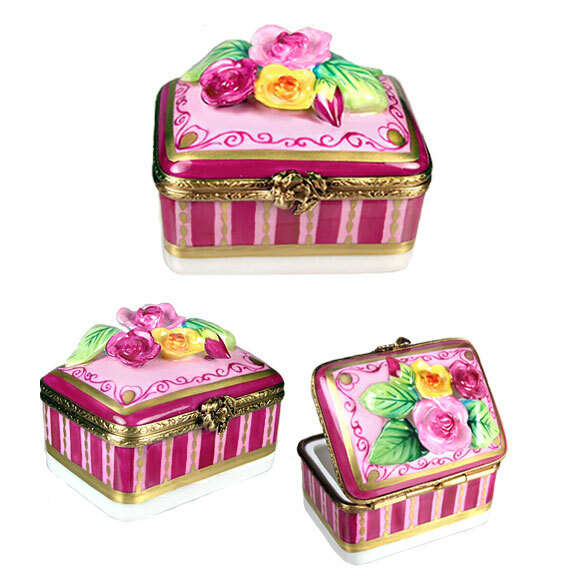 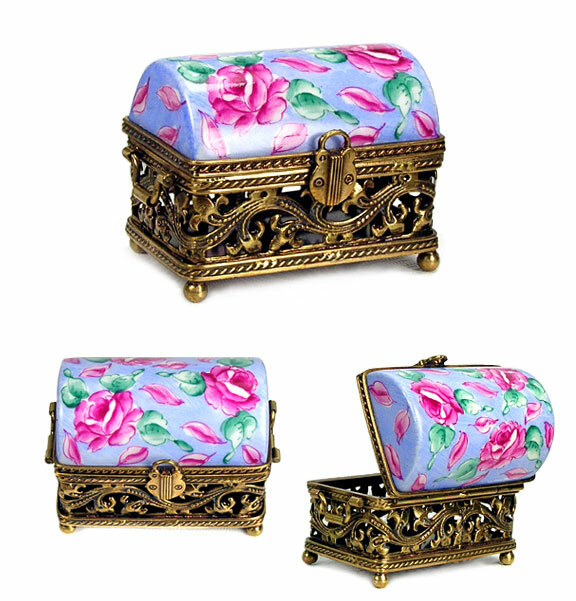 Elegant in their simplicity, traditional Limoges boxes are hand painted on classic shapes. 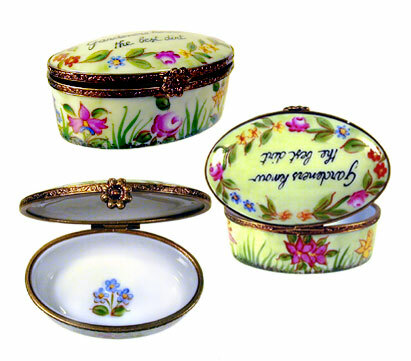 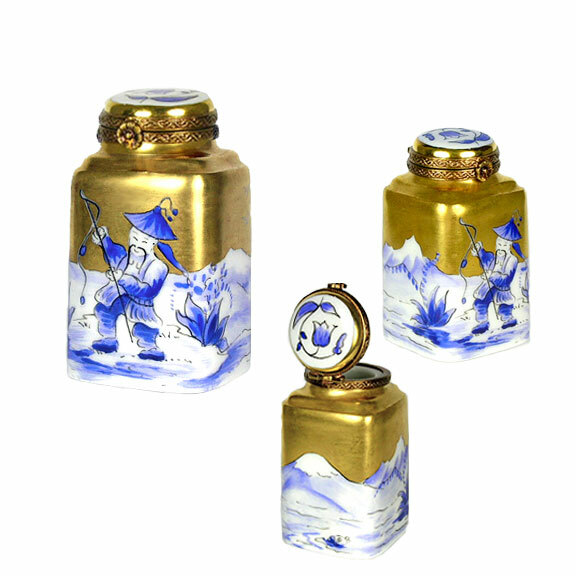 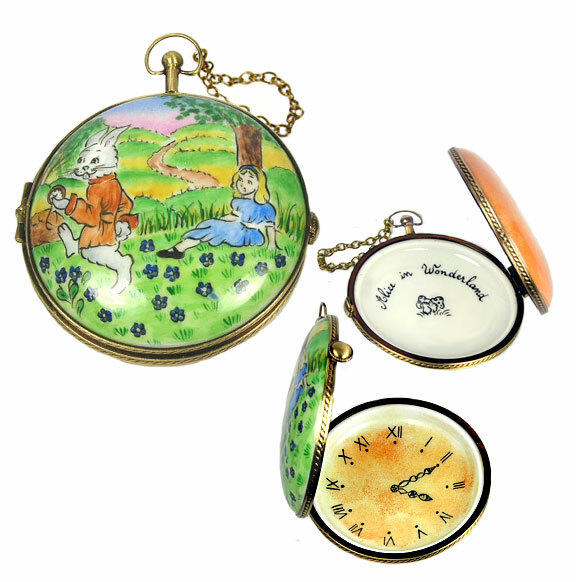 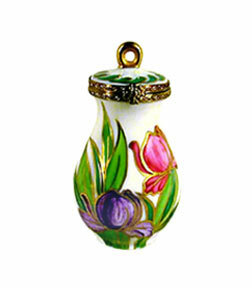 The smooth Limoges porcelain serves as the artist's "canvas" to create miniature works of art. 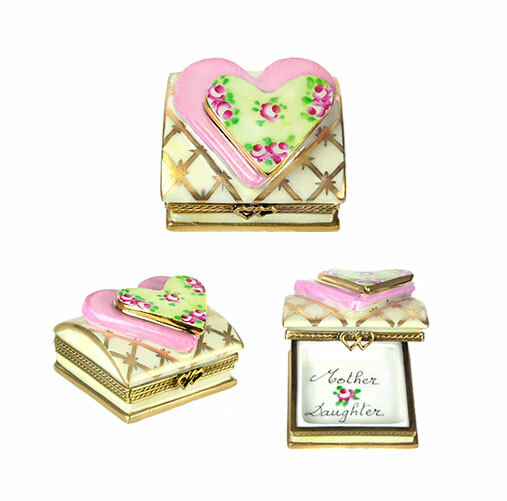 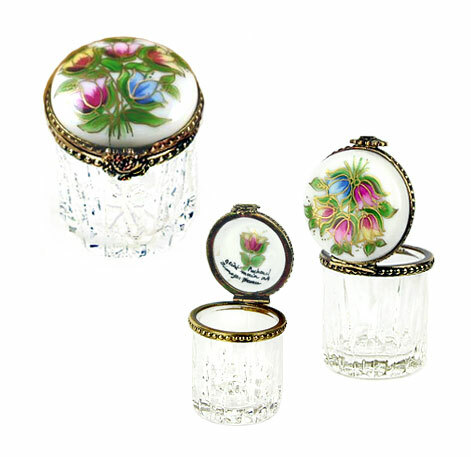 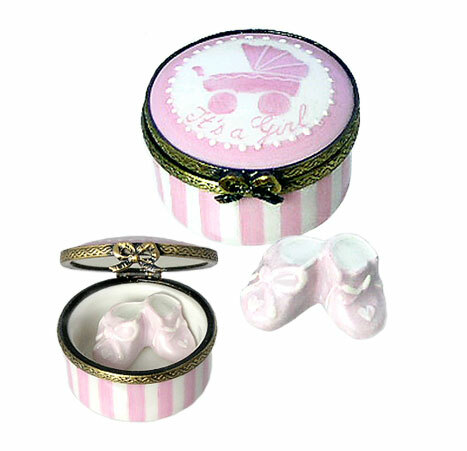 Simply beautiful, and always a good choice for a sentimental gift that will be treasured always. 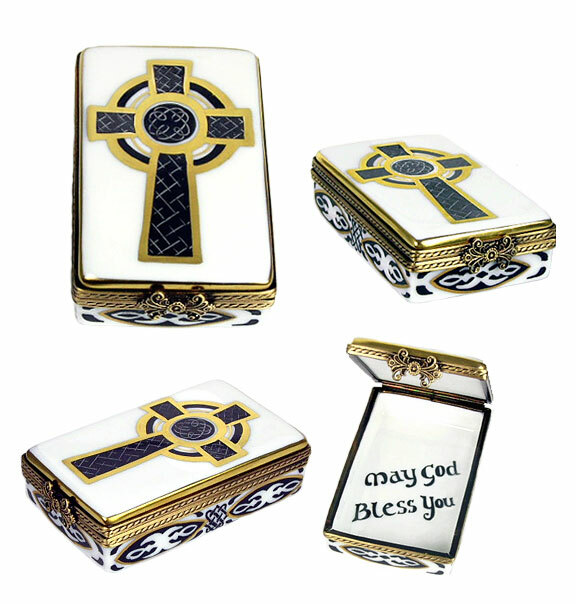 Celtic Cross "May God Bless You"
Rochard Studio Collection - Lynn Haney "Not a Creature Was Stirring"
Rochard Studio Collection - Lynn Haney "Pears of Gold"
Rochard Studio Collection -Lynn Haney "Toyland Santa"